CD and download available to pre-order at www.admusicshop.com (you will not be charged until the release date). Release Date: 1st June 2015 – CD, MP3 and Flac. Music composed, performed and produced by David Wright. 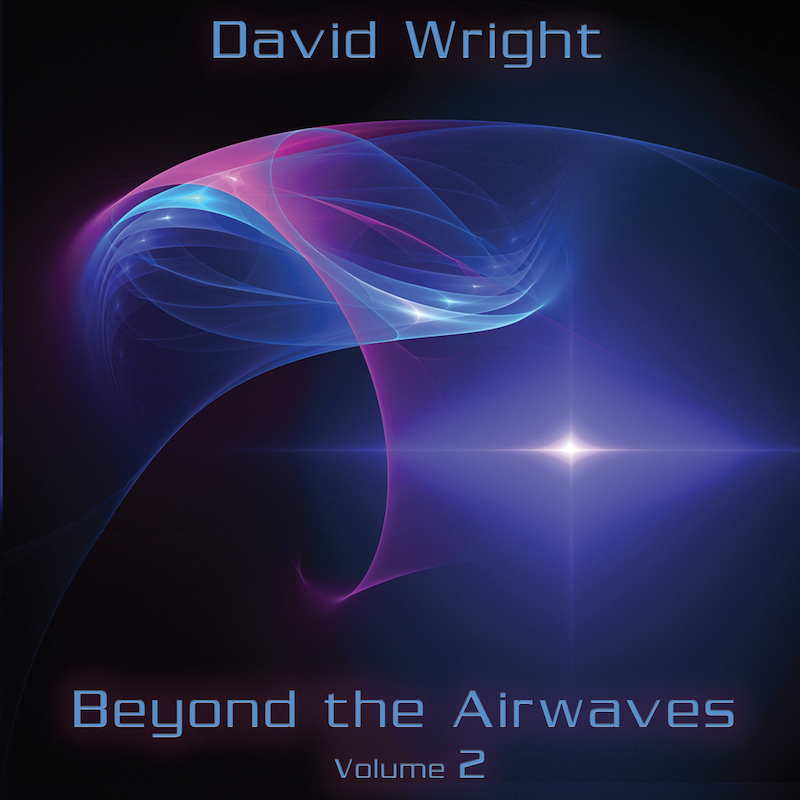 Volume 2 of David Wright’s ‘Beyond the Airwaves’ trilogy continues where Volume 1 left off, presenting a variety of Electronic, Chill-Out and Space Rock styles, this time with guests Robert Fox on synths, Lee Morant on guitar and the voice of Carys. The 35 minute ‘Dreaming Desire’ is a beautifully emotive and slow building journey through the senses. Described as; “A Symphony for Synth and Voice”, it features the evocative wordless vocals of Carys and added keyboard input by Robert Fox. ’Return to the Plains’ is a masterful reworking of sections from ‘Moments In Time’, reimagined to stunning effect. The 25 minute epic builds with strong rhythms, sequences and ethnic flavours, underpinned by a multitude of layers, lush passages and sensational guitar by Lee Morant. Taken from 2012/13 live concerts, the music has been reworked and added to in the studio. The 2 bonus tracks are the gorgeous downtempo ‘Call to Me’ written by Carys and David Wright, plus a Chill Out Remix of ‘Walking with Ghosts’ by DJMass. ‘Beyond the Airwaves Volume 2’ is another pulsating voyage into cosmic electronic music. Rich with drama it’s a worthy addition to David Wright’s extensive catalogue.